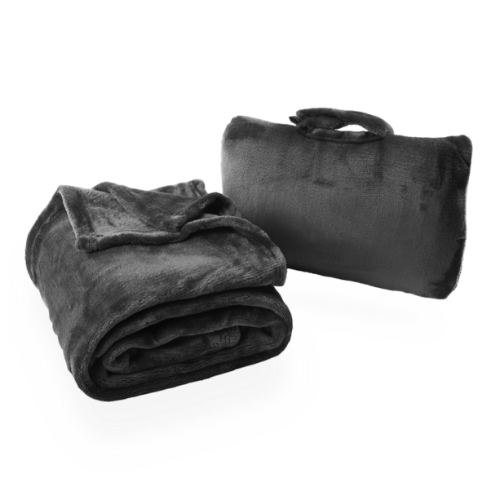 The blanket measures 60”x 36”, offering the complete coverage other travel blankets lack. Made from high-quality French microfiber to keep you warm on even the coldest flights. Compact + highly portable Easily folds down to fit into a 12”x 7”x 4”travel case, with a handle that can attach to your other luggage. Wash-and- go Both the blanket and carry case are machine washable, for easy cleaning between trips. Both the blanket and carry case are machine washable, for easy cleaning between trips.